Sonoro, founded in 2016 by Neil Ferris and Michael Higgins, has attracted attention for its warm tone, rich blend of colours and vibrancy in performance. ‘Sonoro’ in Italian means ‘sonorous, voices that are rich and full’ and Sonoro lives up to that name as a choir with a distinctive and perfectly blended sound. Sonoro have performed at major national and international festivals and venues including the London Chamber Music Society series at Kings Place, the Wimbledon International Music Festival, the St Magnus International Festival, Orkney and in St Gallen, Switzerland. 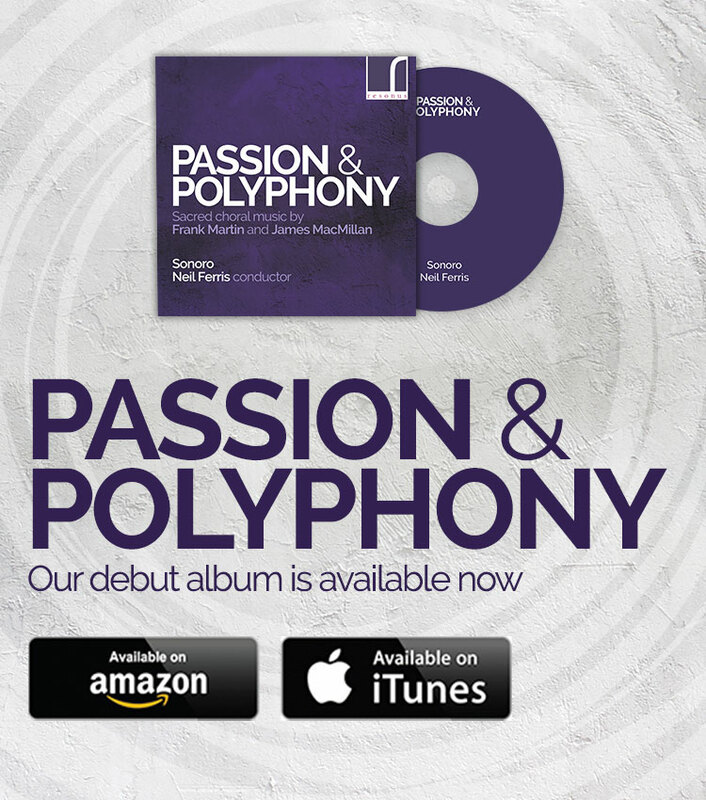 Sonoro’s debut album Passion and Polyphony featuring works of James MacMillan and Frank Martin was released in March 2018 to critical acclaim. 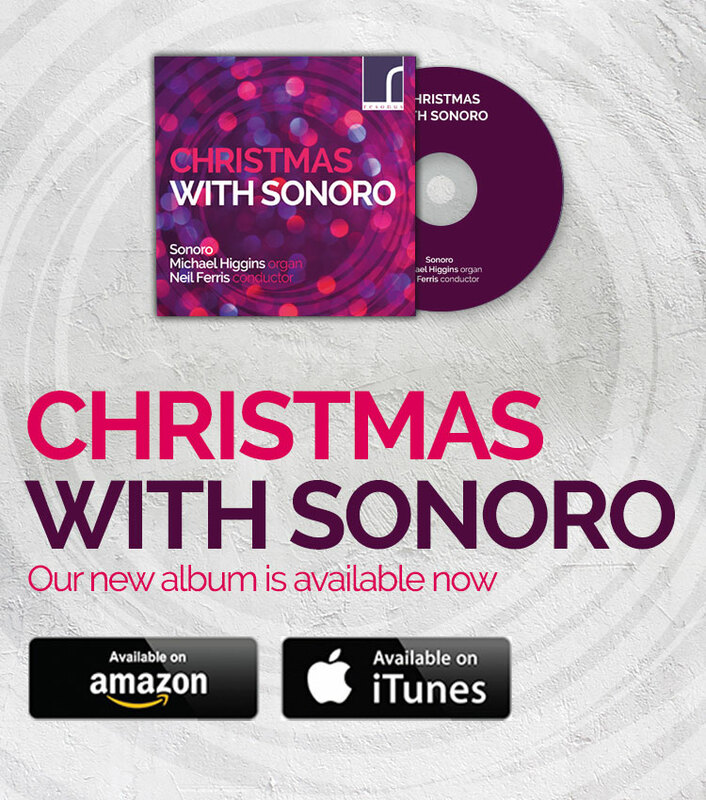 Their recent album Christmas with Sonoro was named BBC Music Magazine’s 2018 ‘Christmas Choice’. 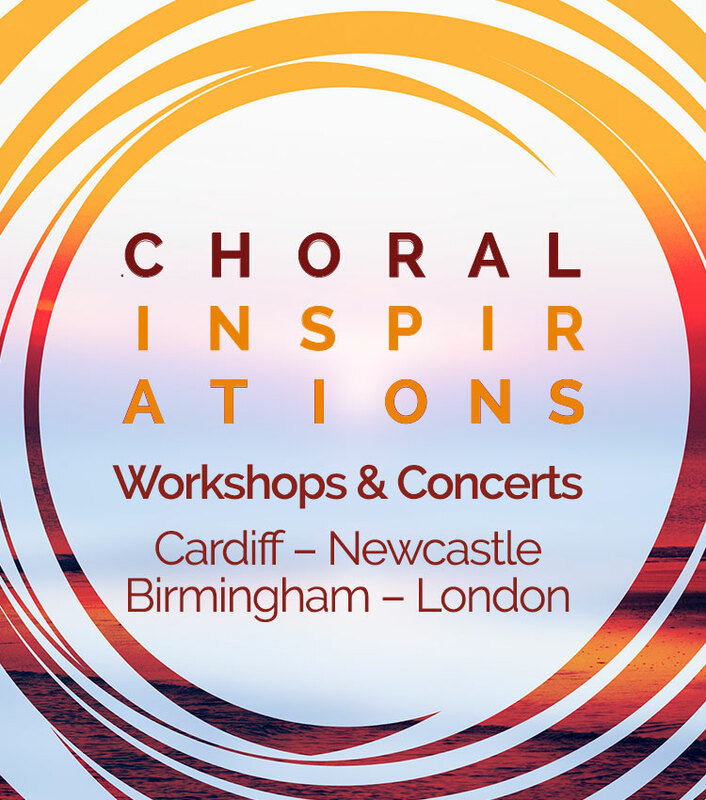 Upcoming plans include their Choral Inspirations project, with a major tour of workshops and concerts around the UK. Sonoro has commissioned six composers to each write a new work based on a ‘choral classic’. These pieces, written at a level that choirs everywhere will be able to sing, will be recorded alongside their ‘choral classic’ and released online. Would you like to join us on our journey? We invite all our supporters to become part of the Sonoro family, a special group of friends who help fund and sustain our work. As a Friend or Patron, you will play a vital role in our future and help us to further our aims and ambitions, whilst getting to know us and receiving a unique insight into the life of the choir. Do you have some spare time and skills that you want to share? There are many areas in which you can help: assisting us in organising Friends and fundraising events, helping out on concert nights, or offering your expertise in other ways. If you are interested in volunteering we would welcome your support, please contact our administrator Liz Chapman. Young Friends are offered unique behind the scenes access to our rehearsals and opportunities to hear us performing live, whilst also acting as advocates for the choir amongst their peers.